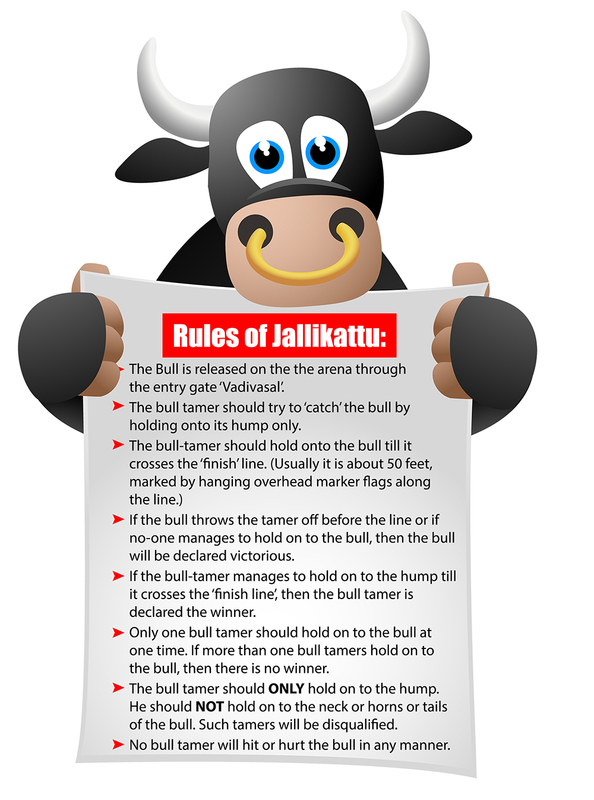 There are hundreds of articles and videos that explain why Jallikattu is important in more ways than one. Yet there are many Indian millennials who aren’t aware of why there is so much activity against the ban of a sport that has been in place for centuries together. This is not only about the sport, festival or the tradition – but it’s also about letting go of something that has been with us for centuries together. The above rules clearly indicate that there are very strict regulations in place to protect the bulls from being harmed. The native Indian cows produce milk which is of the A2 variety. It has A2 beta-casein, the protein that body can absorb quickly and has no side effects. However, the foreign breeds produce milk which is of the A1 variety. Research across the globe has proved that A1 milk has been related to Autism, Diabetes, indigestion and even schizophrenia. The A1 protein releases BCM -7 which is an opioid (A substance that affects the nervous system). Nature is designed by god in such a way that the easiest way to wipe off a breed is to either remove the male ones or female ones completely so that the reproduction stops and new off-springs are not born of the same breed. Understanding this is very important as it plays a major part in this situation. There were 130 or so cattle breeds in India 100 years ago and now there are only 37. Tamil Nadu had six cattle breeds earlier and now we have lost the Alambadi breed. The remaining breeds are Kangayam, Pulikulam, Umbalachery, Barugur and Malai Maadu. So if the existing Indian breeds get wiped out, gradually the dairy market would be controlled by the foreign breeds and their owners. The foreign breeds are not accustomed to the tropical climate and their primary purpose is for milk production. Large multinational companies can step into the largest market of the world, take their shares in the dairy pie and make billions in profits as they will control the supply and the demand of milk in the country. Milk which is currently selling at around 50 per litre will reach anywhere between 120 – 150 sooner than we think if we stay silent right now. And the worst part, we would be paying huge for drinking A1 milk that has numerous side effects. Suddenly a bull decides to run astray. With wild animals lurking, there is the danger of the herd breaking up into smaller groups. A young herder emerges and chases the bull. Bulls being males high on testosterone run quite fast and finally the herder catches up with it. He lunges forward and holds onto the hump of the bull. The hump is a unique feature of Bos Indicus cattle. He manages to hold onto the hump, slowing the bull down and finally stopping it. He leads it back to the herd. Now imagine this scene repeated on a daily basis and the herders sharing the story with the villagers when they pen the cattle for the night. Over time, the skill of embracing the hump to slow the bull down is celebrated and contests are held to showcase the skill. This is called Eru Thazhuvuthalmeaning ‘Embracing a Bull’. Indus Valley civilisation is known for being one of the most advanced and sophisticated amongst its contemporaries. The sport of Eru Thazhuvathal is celebrated so much that they decide to make a seal depicting the same. Now a token cloth is tied in the horns which the tackler collects as a trophy. The focal point of the event is the vaadi vaasal, the entrance. The bulls are let through this entrance, into the track, where the players wait. The track is usually the main street of the village, with the side lanes blocked. The event begins with the visit of village elders, led by a band drummer, to the temple of the village deity. The Koyil Kaalai (temple bull) of the host village is allowed first and as a mark of respect and gratitude to the host village, players allow it a free run and don’t touch it. Today, educated youngsters from these villages are also involved in the rearing of bulls and participate in the sport. All classes of people and all castes take part in Jallikattu. There is an egalitarian perspective where it’s humans and their cattle, nothing more nothing less. 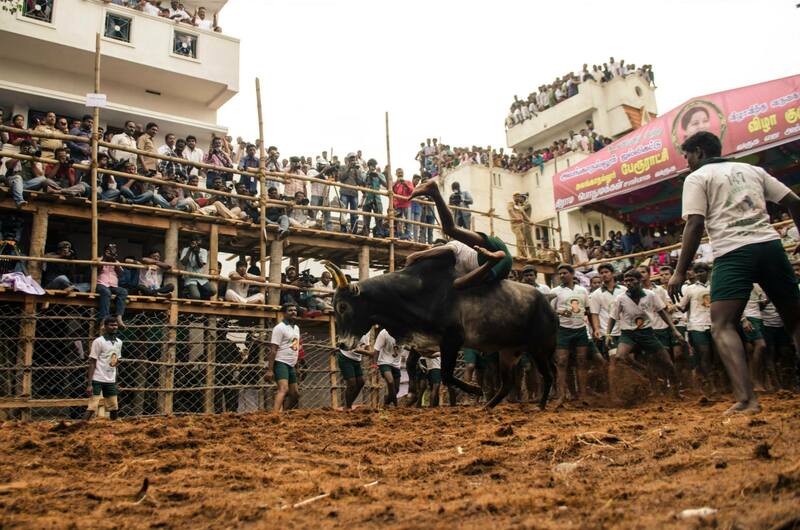 Why Jallikattu is more than just a sport? Decades ago, bulls were used for ploughing the land. Its dung was used as a natural manure to the crops. Then the tractors came into existence that delivered increased productivity. So this use case of bulls being used for farming is fading away day by day. Stud bulls are reared by people for Jallikattu. The ones that win are much in demand for mating with the cows to produce healthy offsprings. Jallikattu is the show where bulls are brought and exhibited. The ones which are most agile (and virile) are preferred by farmers. The calves from such bulls are in demand. The intricate connect between these events and farming can be seen from the chronological order in which showcase events like jallikattu happen first, then the shandies(A countryside market) and then the main farming season starts. Once harvest is done, farmers take their bulls to participate in such events over the next few months; spectators and visitors make a note of the top bulls and seek them out in sandhais (cattle shandies/markets) which happen from December till April all over Tamil Nadu. The calves and bulls are bought for jallikattu and some of their offsprings will be castrated and used as draught animals in transport/farming. Not every farmer can raise or train a bull to contest in Jallikattu. Not every bull is forced to participate in Jallikattu. Imagine raising a boy who loves dancing right from his childhood.You being the parent train him with your full capacity. And the D-day comes where he has to contest against other contestants in dancing. Just before he enters the stage, will you pat him good luck or poke him with a knife / sharp object so that he starts performing with rage. Sounds stupid right? This is exactly the reason cited by PETA to ban a tradition that is part of the ecosystem. Another well-documented article on what’s happening right now to bulls due to the ban and the importance of Jallikattu and native breeds. If the bulls are raised and trained for Jallikattu, they are brought up like they are one of the family members or Gods in the villages. To know more about them, please watch the videos below. Every time we cannot expect to see our favourite heroes fighting social evils in movies and you go back home thinking how the hero fought against all odds to restore what’s good over evil. Now is the time to voice out your support for a tradition, for an activity, for a sport, for a way of life which has been with us for generations together and if we let it die, it is one of the greatest sins we would be committing in our lifetime. It’s heartening to see the peaceful protests in different parts of the state where the youth have shown solidarity and purpose without an external push/motivation but only for preserving what’s been a part of life. Wonderfully written. Lovely article with the necessary details alone. Thanks bro. It was very informative. Thank you for this post. I really appreciate your attempt to connect the Indus – Saraswati culture to the culture of our times..A wonderful and convincing article indeed. My sentiments are with the people of Tamil Nadu. Thanks for the wishes and the support. Nice article. Glad to understand the whole background on why we need jallikattu. That’s really a good write up , sundaresan . I was having a whale of time reading your article . You have Beautifully coined the research you have done in an intriguing way . Every cloud has a silver lining my friend! . The cause is good ,the people are good , the momentum is good . So good should be the end . Next Post How to Sell without Selling?